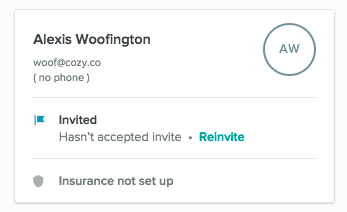 Does Cozy offer Renters Insurance? 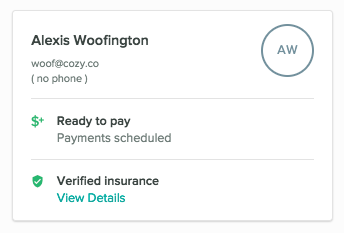 If you're collecting rent through Cozy, your tenants have the option of purchasing a renters insurance policy directly through their Cozy account. You'll be able to specify whether insurance is required as part of setting up a new rent collection on one of your properties. 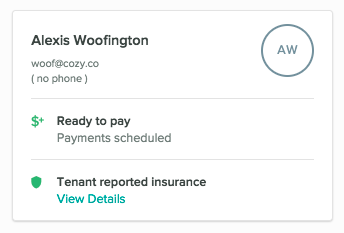 If tenants have "Verified insurance", that means they've purchased a Cozy Renters Insurance policy. Default policies provide $15,000 in personal property and $100,000 in liability coverage. The specifics of each policy vary by location, property type, and an individual's personal claim history, so you'll need to reference a specific quote or policy for more detailed policy information. For more information about coverage you can visit Assurant's website.